Last Tuesday, I had the day off work because I spent the morning taking a 5 hour certification test. (I'm certified 6-12 ELA but am getting my K-6 General certification.) Afterward, my brain was mush so I spent some time on the couch watching YouTube. I was intrigued. 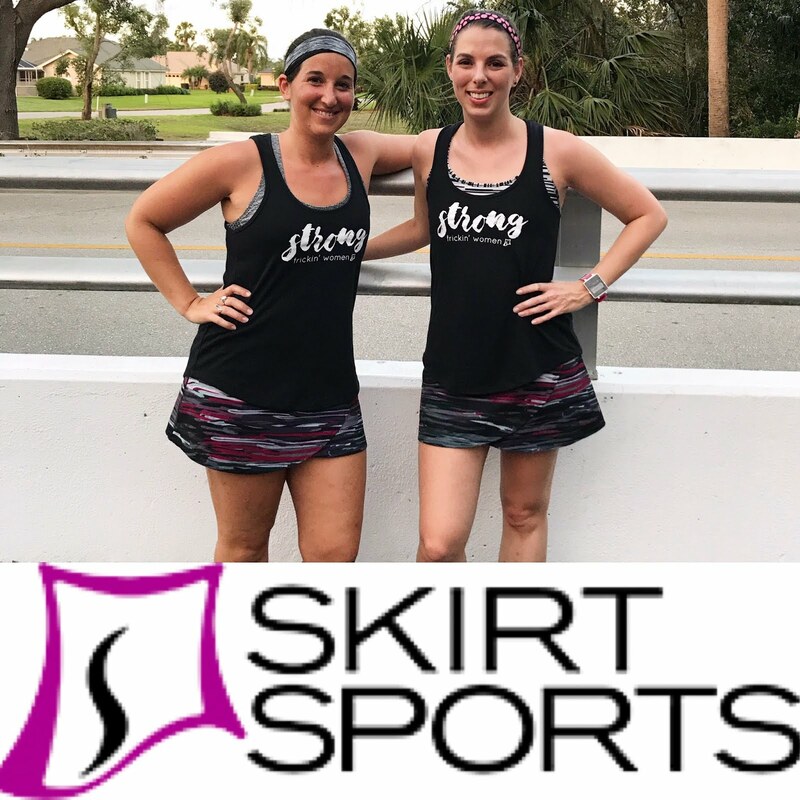 I know squats are a great exercise for your whole body, and I know women runners in particular need to strengthen hammies and quads to avoid injury. Kristina's squat and dead lift videos and progress are incredibly inspiring and cool to watch, too! I have always done my share of squats, but I liked the idea of a target challenge. Taking a year off from running and basically any real workouts means I've lost lots of muscle definition. I am not happy with how my quads look right now and I want to be a strong runner. So, I decided that after the A1A 5k, I was going to start doing this challenge! I figured I'd be super sore at first, so starting after a race is a good time because I'll be "recovering" anyway. Track & Field, which I am co-coaching this year, began last week so I can probably incorporate some of my squats into practices, but mostly I'm going to try to break my squats into sets of 25. I'll do the first set when I wake up, the second set at lunchtime (my colleagues have already agreed to join in my squat party), the third after work, and the fourth set before bed. Anyone want to join me? I am already three days into the challenge and feeling great! I created a Facebook group to help support/encourage/hold accountable anyone who wants in. I'm looking forward to seeing more definition and feeling stronger by the end of the month. I wish I could squat! It bothers my ITB. Congrats on getting your K-6 general cert. I got my K-4 general cert last year. I mainly wanted it for job security. Now they can't kick me out if they cut music. They'll have to put me in a regular ed classroom. Oh dear.. Why did you decide to do it? My principal wanted me to get the certification for co-teaching purposes. In my job, I work with all grade levels on writing and reading support so it makes sense to have the credentials to back that up lol. Gotcha! What did you have to do? Because I already had a Level II cert, all I needed to do was pass 3 tests. Now of course I had to study for the tests, which was time consuming, but I didn't have to take any classes. I just have to pass the tests and pay to add the certification. I passed 3 of the 4 and am waiting to hear how I did on the 4th. 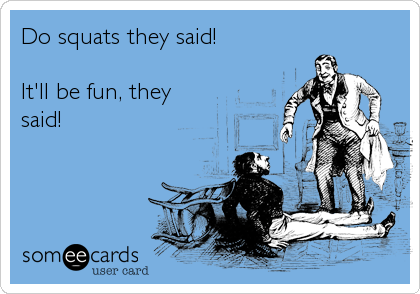 That's so awesome that your coworkers are going to join the squat party! I was reading an interview with one of my favorite wrestlers and he said when he trained in Japan every morning they made him get up and do 1,000 squats to kick off the day! o_O What a way to wake up! OMG I canNOT imagine doing 1000 squats a day. 100 is fine, thankyouverymuch haha! OK, so maybe I'll try it. I'll let you know! Totally agree that meeting any kind of workout goal makes me feel stronger and tougher. No matter the age! I’m late to the party but I wanna join.